It’s good for you when you get out and play. National health leaders remind us just how good it is during May — National Physical Fitness and Sports Month. Physical activity helps maintain a healthy weight. It can reduce the risk of heart disease, type 2 diabetes and some cancers. It also strengthens muscles and bones. Physical activity can improve mental health. Still, Alaskans of all ages aren’t getting enough of it. Only one out of five Alaska high school students reported getting 60 minutes of daily physical activity during the past week; sixty minutes is the national recommendation for daily physical activity for youth. [2,3] Most Alaska high school students (84%) also reported that they did not attend daily gym class during the average week. 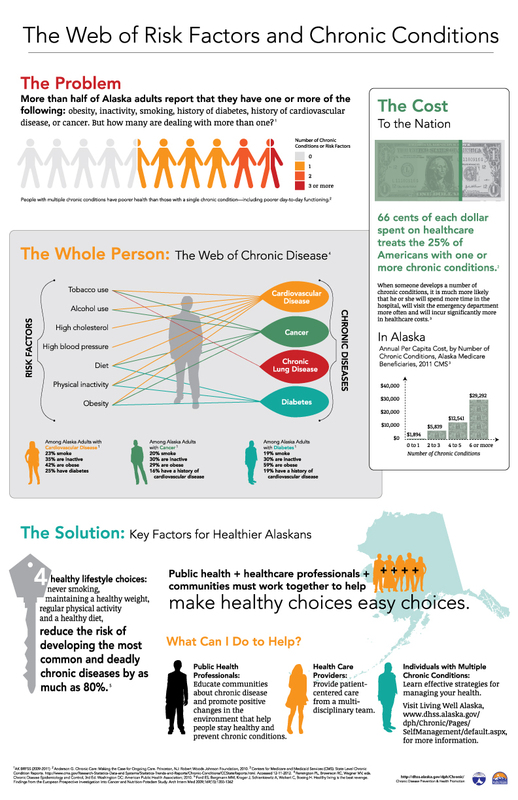 Almost half of Alaska adults don’t get the recommended amount of daily physical activity. The national recommendation for adults is at least 150 minutes of physical activity per week. The Section of Chronic Disease Prevention and Health Promotion’s Obesity Prevention and Control Program started a public education campaign three years ago to make it easier for kids to be physically active, and to motivate their families to be active together. The Play Every Day campaign creates public service announcements for TV, radio, the Internet and other media to encourage Alaska families and young children to be physically active — to get out and play — at least 60 minutes every day. The Alaska Division of Public Health’s sections of Chronic Disease Prevention and Health Promotion and Women’s, Children’s, and Family Health worked together this spring to film a new Play Every Day public service announcement focused on the importance of daily physical activity for children of all abilities. The new 30-second TV PSA features Alaska children who get out and play in many different ways: running, doing gymnastics, going for a walk, biking, kicking soccer balls, Native dancing, performing the Alaska Native high kick, sit-skiing, and jumping in puddles. The TV spot is now posted online and features children with special health care needs. Play Every Day also partners with a nonprofit organization called the Alaska Sports Hall of Fame to run the free, fun Healthy Futures Physical Activity Challenge in Alaska elementary schools. Since the partnership began, participation in the Healthy Future Challenge has jumped significantly, from 36 schools in spring 2011 to almost 170 schools this spring. The number of participating students jumped from about 1,340 in 2011 to more than 18,500 in 2014. 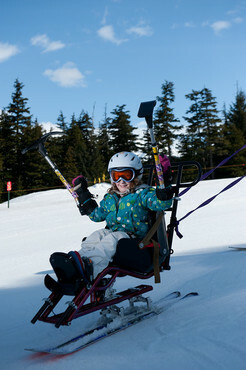 That’s about one in four elementary-age children in Alaska now logging their physical activity during the Challenge. Visit Play Every Day to learn more about the public education campaign focused on preventing and reducing childhood obesity in Alaska through promoting daily physical activity and good nutrition. Visit Healthy Futures to learn more about the organization and to find out which elementary schools are signed up for the Healthy Futures Physical Activity Challenge. This month, schools will sign up for the next Healthy Futures Challenge, which will begin in September 2015. Parents can contact their child’s school to let them know about the Challenge and that it’s free for schools to sign up and free for students to participate. Alaska Department of Health and Social Services. Alaska Youth Risk Behavior Survey 2013 Highlights. Alaska Department of Health and Social Services. Alaska Behavioral Risk Factor Surveillance System Highlights 2013.